The Model 74 is a non-catalytic wood burning stove designed to meet the most stringent emissions standards without the use of a catalytic combustor. The 74 delivers heavy duty heat performance and is available as a masonry and pre-fab fireplace insert or freestanding unit. 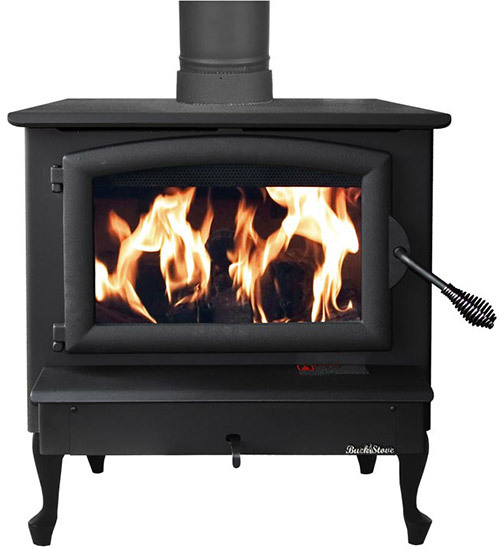 Our Model 74 has a BTU rating of 40,900 and can heat up to 2600 square feet. Buck Stoves are made in the USA by the New Buck Corporation located in Spruce Hill, NC. They have been in business since 1972. We help homeowners build lasting value into their homes. Since 1988, we’ve walked alongside our customers, providing professional and proven service. We’d love to walk with you. Contact us today.